With the foundation for a lovely team laid, it didn’t take us long to plan our first long ride. 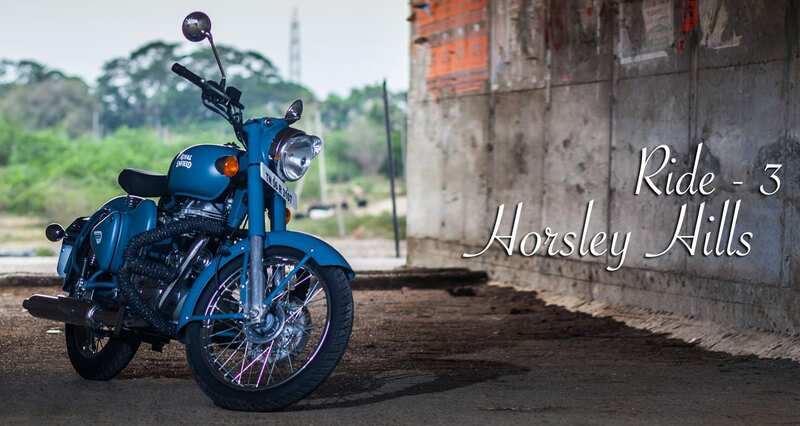 So in September of 2016, about 5 Himalayans, 5 Classics, and 2 Thunderbirds took to the roads and our destination was Horsley Hills in Andhra Pradesh. This ride was yet another straight-forward one. 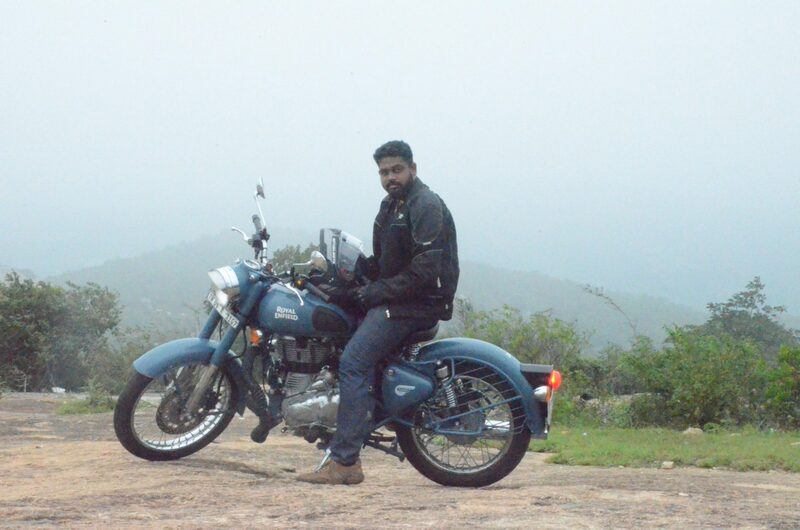 This time, we started from Velavan Motors Alwartirunagar branch and reached the almost 300 km Horsley Hills. After spending more than a month’s salary on basic gears that I wore for the last mini ride, I had gotten accustomed to it by this ride. To top it off, I bought a ViaTerra Magnetic Bag. 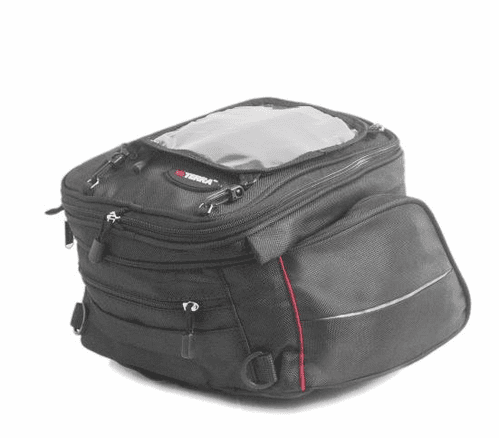 Though I can’t find it now in their website, whatever I’ve linked is the same bag with additional compartments for DSLR and this can be removed from the bag thereby making it a regular one too. Tankbags are easily one of the most efficient and easy ways of carrying luggage and this one fits in enough for a two-day trip. I wish I can say that I travel light but that’s the exact opposite to what I’m. So if this bag can do wonders for me for a weekend getaway, it’ll suit anyone of you. It was quite a simple trip. We reached Horsley hills easily around noon – right on time for lunch. We stayed at a simple hotel without many facilities, but hey, it’s just a dozen guys, what more do we need? There was a common room which doubled as the meeting spot where we spent almost the entire night. The only place we got to check out was Gali Bandalu aka Wind Rocks – a rocky slope that gets its name from the heavy winds. In the early mornings, the place is covered completely with mist and the road leading to this place too, which seems to have been newly laid, makes it a lovely piece of tarmac to ride in. Overall, it was yet another amazing ride where the team got to bond even more and as expected, it led to thousands of kilometers of us riding together.